Explore NASA data on future climate conditions for the U.S. in never-before seen detail. Search the United States to see how differences between high and low rates of greenhouse gas emissions could affect you and your city. The maps are based on NASA’s NEX-DCP30 dataset that are provided to assist the science community in conducting studies of climate change impacts at local to regional scales, and to enhance public understanding of possible future climate patterns and climate impacts at the scale of individual neighborhoods and communities. The maps presented here are visual representations only and are not to be used for decision-making. The NEX-DCP30 dataset upon which these maps are derived is intended for use in scientific research only, and use of this dataset or visualizations for other purposes, such as commercial applications, and engineering or design studies is not recommended without consultation with a qualified expert. ClimateData.US or HabitatSeven shall not be held liable for improper or incorrect use of the data described and/or contained herein. How climate change affects the U.S. depends on the greenhouse gases the world chooses to emit. These maps show how temperature and precipitation could change under two different emission scenarios. The high emissions scenario (RCP 8.5) represents changes if we continue to emit greenhouse gases at a similar rate as today. 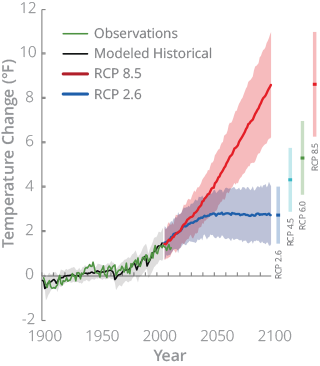 The low emissions scenario (RCP 2.6) shows how the worst impacts of climate change can be limited if we drastically reduce greenhouse gases today. Explore how these choices will impact where you live. The datasets used in ClimateData.US were produced by NASA in support of the National Climate Assessment. The full NASA dataset includes high resolution climate projections for the U.S. that combine output from 33 global climate models with historical climate observations from 1950-2005 to produce a suite of climate scenarios for the U.S. at a spatial resolution of 0.25 square miles. NASA used supercomputers at NASA Ames Research Center to perform the calculations required combine the coarser resolution output from global climate models with the historical climate data to produce these neighborhood-scale climate scenarios for the U.S. The datasets are available to the public through the NASA Center for Climate Simulation (NCCS), and through OpenNEX, a partnership between NASA and Amazon. We used a subset of the full climate dataset, including the average of all 33 individual models, and scenarios from two of the individual global climate models that have been shown to most accurately simulate observed climate patterns in the U.S. over the past fifty years. For each model, the viewer displays daily average maximum temperatures, minimum temperatures, and precipitation from 1950 – 2100. To simplify the process of exploring data, the viewer provides access to data for January, April, July, and October in the first year of each decade under a high emissions scenario (RCP 8.5) and a low emissions scenario (RCP 2.6). In the future, we plan to offer tools that will allow users to explore the full dataset for any location of interest. What do scientists mean by ‘uncertainty’? In conversational use, the word “uncertain” often means “not known” or “not absolutely certain”. For example, “In August, I was uncertain the Giants would win the World Series.” In science, however, “uncertainty” doesn’t describe whether something is known or unknown, but rather the extent to which something is known. It is important to scientists to express the degree to which something is known, both to provide transparency and to ensure others don’t form conclusions that extend beyond what is supported by the data and evidence collected to date.  To help decision makers understand the degree of “uncertainty” associated with different aspects of climate change and different types of climate change impacts, scientists have developed the following likelihood scale, which was used in the IPCC Fifth Assessment Report. So when scientists say that it is “very likely” that global temperatures will increase by 5-10° F by the end of this century under RCP 8.5, (Representative Concentration Pathways) they mean that based on all available evidence to date, there is a greater than 90% chance that this will occur if we don’t take steps to reduce greenhouse gas emissions. How certain are scientists about the climate scenarios shown in ClimateData.US? Scientists consider it very likely (90-100% probability) that increasing atmospheric concentrations of greenhouse gases will increase global average temperatures, and will also change precipitation patterns in many regions of the world. There is some difference among models, however, due to the way that physical climate processes are mathematically represented in different models.  As a result, there is range of projected changes across different models, as shown in the figure below, which summarizes the range in projected changes in temperature under the low emissions scenario (RCP 2.6) and the high emissions scenario (RCP 8.5). The dark red and dark blue lines represent the average projection calculated from all models, and the shading represents the range of projections across models. As our ability to measure and model a range of physical climate processes continues to improve, the range in the projections across models (the shaded area) is expected to shrink. How reliable is the downscaling technique for these maps? The process of “downscaling” the coarser resolution projections from the global climate models improves the spatial resolution of the climate projections. However, the technique used to produce the NASA dataset relies on the assumption that the spatial patterns in temperature and precipitation observed between 1950-2000 will remain consistent in the future. While this is expected to be true for temperature, it is less certain for precipitation patterns. As such, the mathematical process of downscaling the projections may also reduce certainty in the projected changes in precipitation. Studies are ongoing to quantify this effect, and to identify the best mathematical and computational techniques for improving the spatial resolution of climate projections. The high resolution climate projections shown in the ClimateData.US viewer capture these patterns at a spatial scale of 0.25 square miles, allowing the public the explore projected changes in climate at the scale of individual neighborhoods and communities. How reliable are computer models of the Earth’s climate? Climate models are used to analyze past changes in the long-term averages and variations in temperature, precipitation, and other climate indicators, and to make projections of how these trends may change in the future. Today’s climate models do a good job at reproducing the broad features of the present climate and changes in climate, including the significant warming that has occurred over the last 50 years. Hence, climate models can be useful tools for measuring the changes in the factors that drive changes in climate, including heat-trapping gases, particulates from human and volcanic sources, and solar variability. Scientists have amassed a vast body of knowledge regarding the physical world. However, unlike many areas of science, scientists who study the Earth’s climate cannot build a “control Earth” and conduct experiments on this Earth in a lab. To experiment with the Earth, scientists instead use this accumulated knowledge to build climate models, or “virtual Earths.” In studying climate change, these virtual Earths serve as an important way to integrate different kinds of knowledge of how the climate system works. These models can be used to test scientific understanding of the response of the Earth’s climate to past changes (such as the transition from the last glacial maximum to our current warm interglacial period) as well as to develop projections of future changes (such as the response of the Earth’s climate to human activities). Climate models are based on mathematical and physical equations representing the fundamental laws of nature and the many processes that affect the Earth’s climate system. When the atmosphere, land, and ocean are divided up into small grid cells and these equations are applied to each grid cell, the models can capture the evolving patterns of atmospheric pressures, winds, temperatures, and precipitation. Over longer timeframes, these models simulate wind patterns, high and low pressure systems, and other weather characteristics that make up climate. Some important physical processes are represented by approximate relationships because the processes are not fully understood, or they are at a scale that a model cannot directly represent. Examples include clouds, convection, and turbulent mixing of the atmosphere, for which important processes are much smaller than the resolution of current models. These approximations lead to uncertainties in model simulations of climate. Climate models require enormous computing resources, especially to capture the geographical details of climate. Today’s most powerful supercomputers are enabling climate scientists to more thoroughly examine the effects of climate change in ways that were impossible just five years ago. Over the next decade, computer speeds are predicted to increase another 100 fold or more, permitting even more details of the climate system to be explored.